Our European foodie adventures continue! 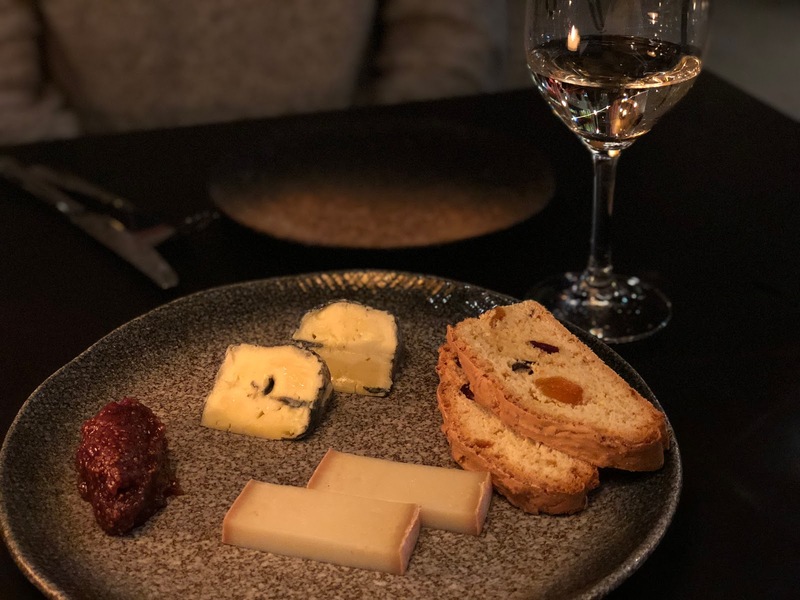 It is our first time in Scandinavia and after hearing about their ‘small plate’ dining culture, we were out to find and experience the very best of this. And boy, did we find it. 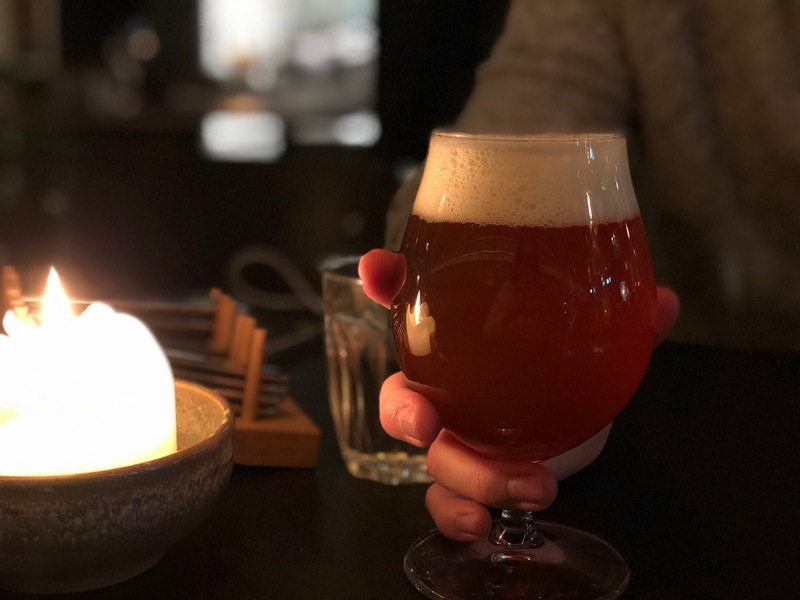 Nord & Natt in the district of Tøyen offer the very best Norwegian cuisine, sourcing all ingredients from local farmers and putting the flavours together in a way which may challenge perceived norms. 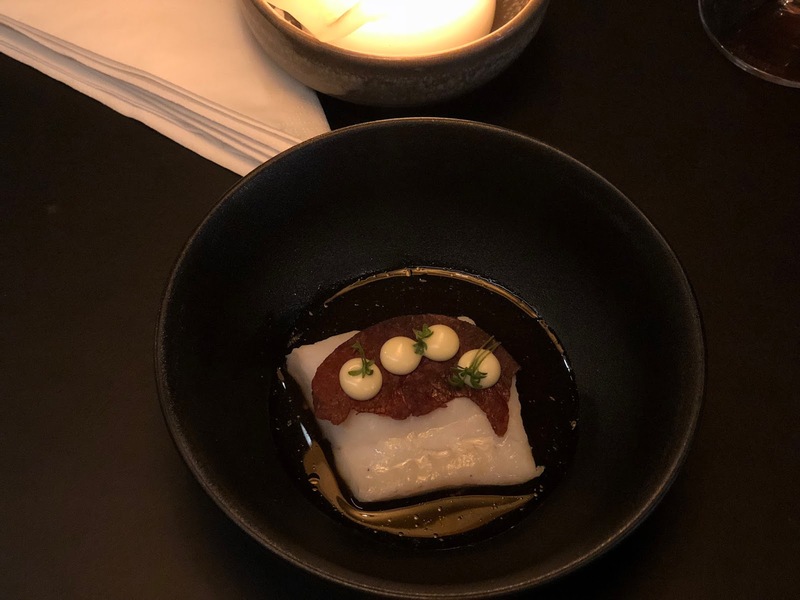 They work with the seasons and nature to bring their customers the best Nordic dishes in a classy environment with first class customer service. We chose from the chef’s tasting menu, comprising of five dishes. We started with the above cod starter, which was unbelievably tender. We learnt that tradition in Lisbon is to not use knives on fish out of appreciation and that you simply don’t need to, and that is the same case here. It almost fell apart when putting cutlery anywhere it. The softness of the fish was balanced by a small crunch from the cured meat and a kick was provided by the lemon mayo. It was a brilliant start and we knew we were going to be in for more mini treats to come! Our fantastically attentive and knowledgable waitress was always on hand to offer advice on drinks that would go with the food we were having. We chose a dry Norwegian pale ale with hints of orange and it was absolute top quality. Next up was the baked porcine mushroom and ginger butter toast (see top of post). 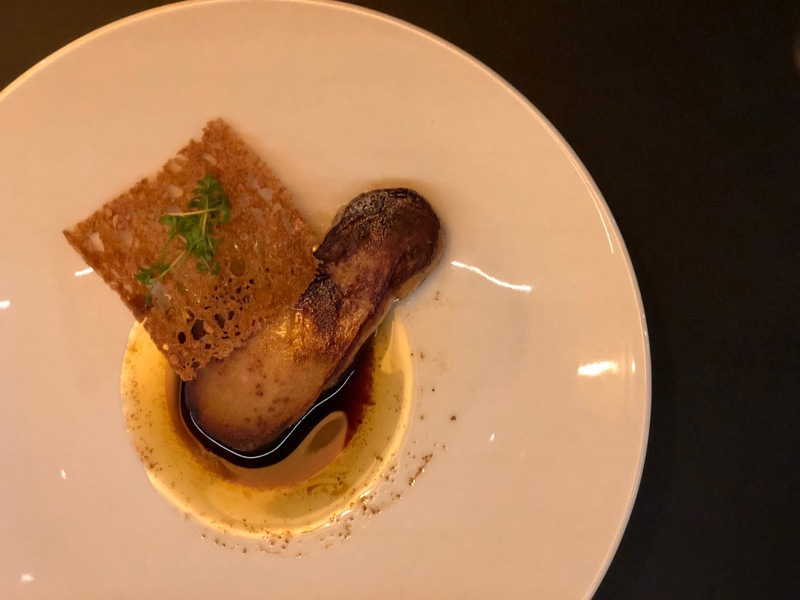 It’s hard to imagine variants on the presentation of mushrooms on toast, and this one certainly took us by surprise when it arrived at our table. It was perhaps the most flavoursome mushroom we’ve ever come across and the toast gave us a little something to clear up the delightful ginger butter. This dish perfectly represented what Nord & Natt are all about – Norwegian food, done differently and better. Each detail politely screamed quality, careful thought and surprise. But our culinary journey had only just begun, and we were now on to the main course. This was our favourite dish out of the five. 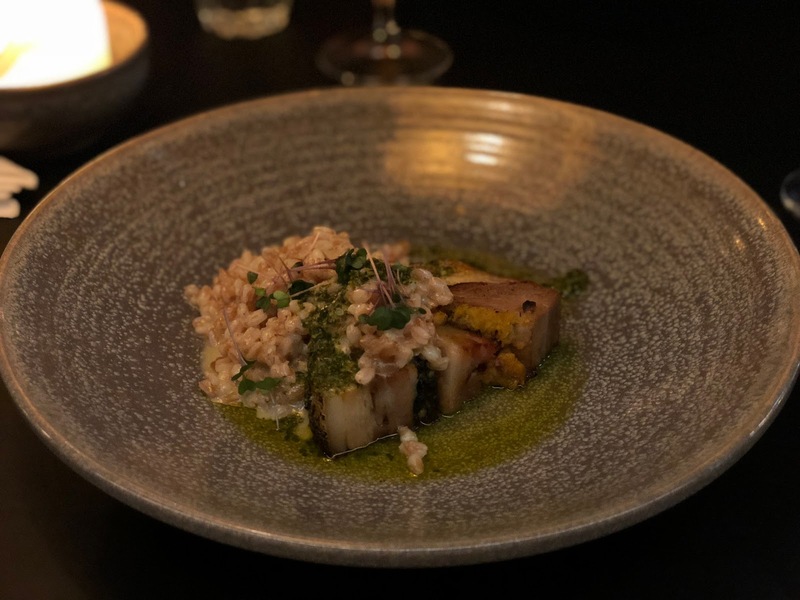 The buckwheat risotto was perfect in texture, full of flavour from the garlic and occasional burst of cranberry, and the porchetta was beautifully moist and tender. There is the option to have the tasting menu with or without the cheese course, which each comes in at NOK 420 (approx. £38) without, or 550 (approx. £50) with. That sounded a lot to us before we came, but having spent a day in Oslo prior to dining here, we came to realise that it’s very reasonably priced for this part of the world. Normally going for the ‘cheap eats’ when we travel, we took exception with it being a birthday and we’re so glad we did. Now on to not one but two desserts, and with the recommended white wine we enjoyed it alongside the very strong white and blue cheeses, delicious bread and marmalade. Every mouthful had punches of immense proportions, and it was down to the final dish of milk ice cream to calm the senses. 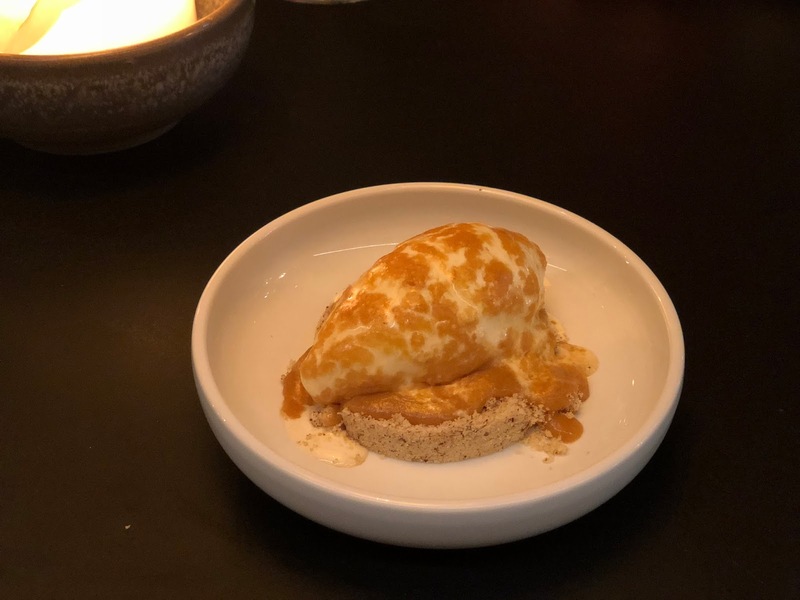 The flaky biscuit and hints of caramel ended the meal perfectly, and we left feeling that we really had been on a culinary journey through Norway. Each dish was delicious in its own unique way, yet complimented it’s predecessors and successors like magic. It seemed like our drinks were made to go alongside what we were eating, and the service and atmosphere were perfect for the occasion. We highly recommend Nord & Natt if you’re visiting Oslo and are looking to experience their cuisine in style. A massive thank you to all at the restaurant for having us. Disclaimer: this meal was complimentary to us in exchange for an honest review. Oh my these dishes look absolutely delicious, I love when restaurants use local farms to source their food. The cod and the cheese plate is something I would definitely enjoy. Oh the food looks delicious and is making hungry even though i know that I couldn’t eat the cheese.